4k00:07Computer keyboard. Person is writing on the keyboard. The camera is in motion - on dolly. Close-up, counter-light, low depth - film depth of field. Filmed using film lenses. 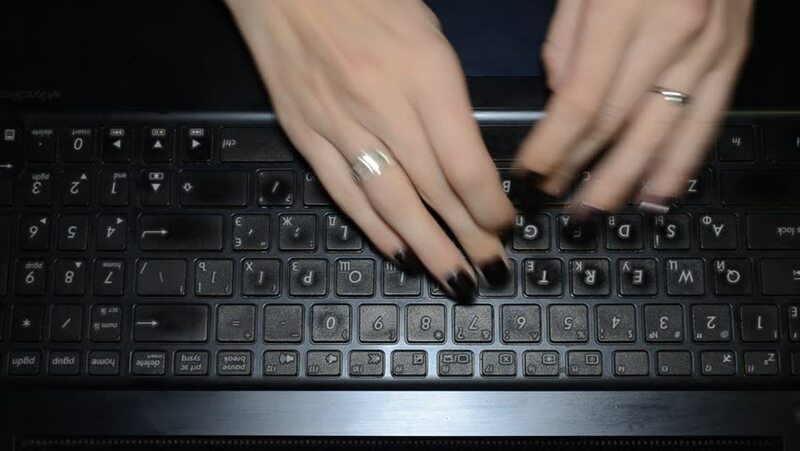 4k00:154K: A Closeup view from fast typing female hands on a black keyboard. hd00:17Woman working at home office hand on keyboard close up.Photo selected focus on blur background.